While beef is the meat of older cattle, veal is the meat of young cattle and is, in many ways, a by-product of the dairy industry. Once considered extremely unethical due to the use of crates in its production, British veal now represents among the highest welfare standards in the UK meat industry. 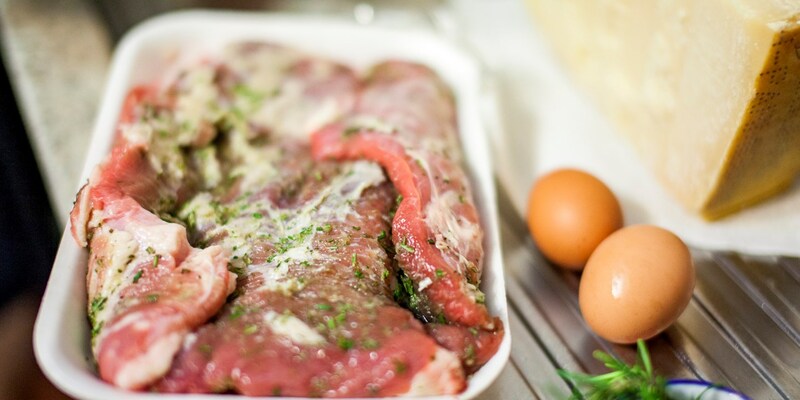 When buying look out for pale pink meat with a little marbling of fat across it, and remember that veal has a lower percentage of fat compared to most other meats, therefore requiring careful cooking to prevent it becoming too tough. Browse our delicious collection of veal recipes for dinner inspiration, including Russell Bateman's colourful Veal fillet with girolles and truffle recipe and Roast rump of Dorset rosé veal by Matthew Tomkinson. Bryan Webb uses calf's liver to make a delicious starter dish in his fantastic terrine recipe, while the Galvin brothers' Caramelised veal brains with beurre noisette offers a gourmet spin on the rustic French delicacy.